Today we welcome back Shelley. 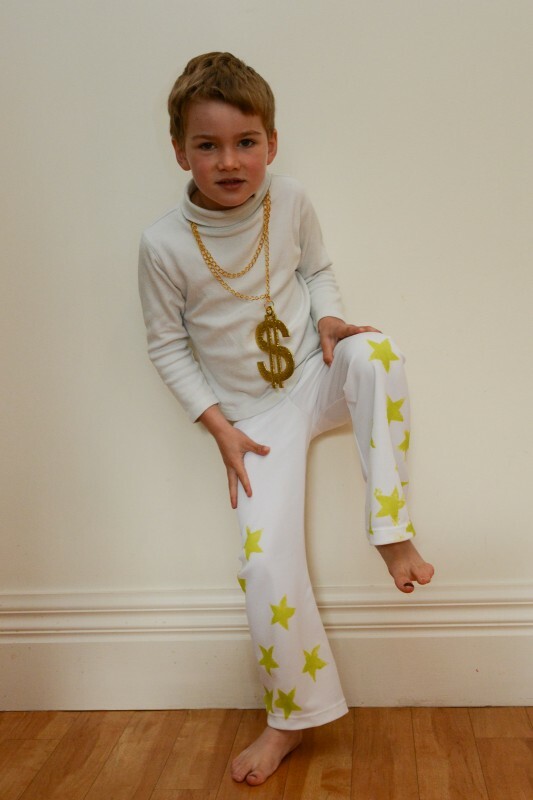 She has visited here before sharing her favorite Oliver + S pattern and her Evel Knievel costume. Now she is going to share another project using the Nature Walk Pants. Thanks so much, Shelley! Hello again, I was delighted to be asked to do this guest post but honestly I feel a bit of a fraud. I’m sure I did it the “wrong way”. 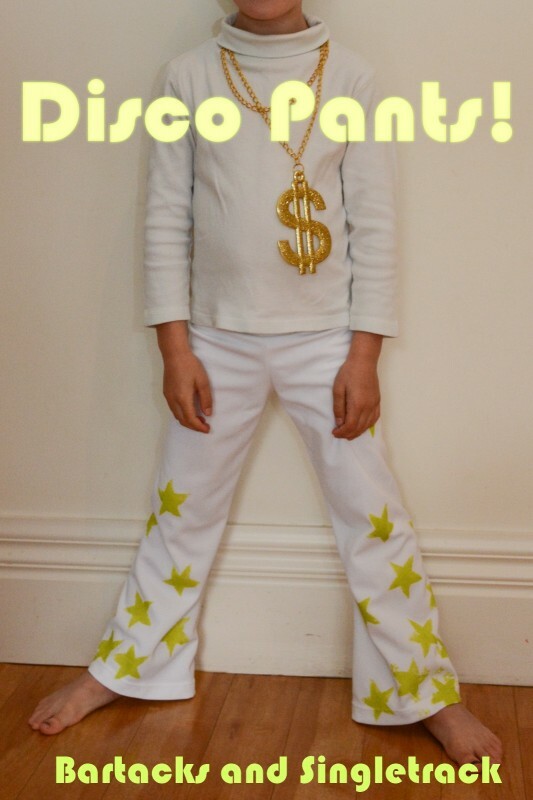 Although, perhaps I can cut myself some slack and say there is no “wrong way” when it’s a last minute costume for a disco party. 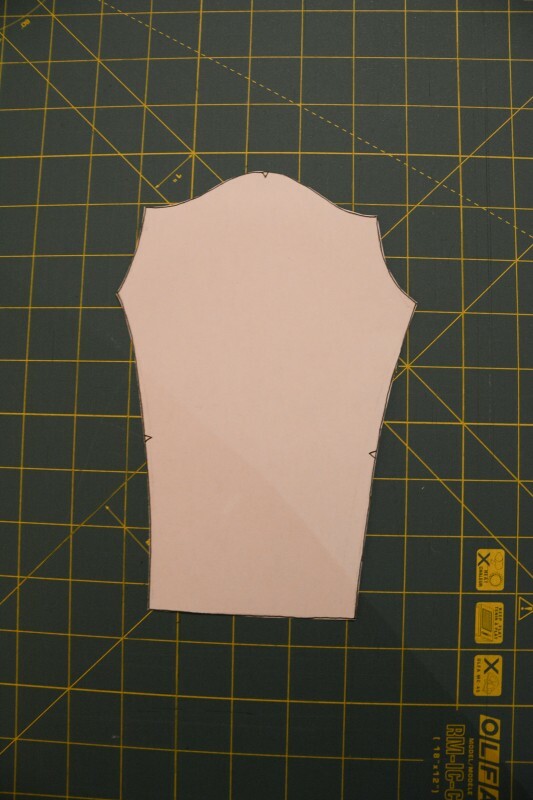 Remember Liesl showed us all how NOT to do an A-line alteration. Well, I went one step worse with these flares as there is no outside leg seam, and by adding flare to the sides of the pattern pieces all the flare ends up in the inner leg. The star stamp painting was pretty cool though, hey? When it comes to quick costume pants there was only one pattern to consider. It’s my favourite, the Nature Walk Pullover and Pants pattern. Here’s a rundown of what I did. If you’re old enough to remember flares, or you’re a couture sewist, or even a couture sewist who is old enough remember flares and to have sewn flares, then please feel free to add your comments and let me know how else it could be done. 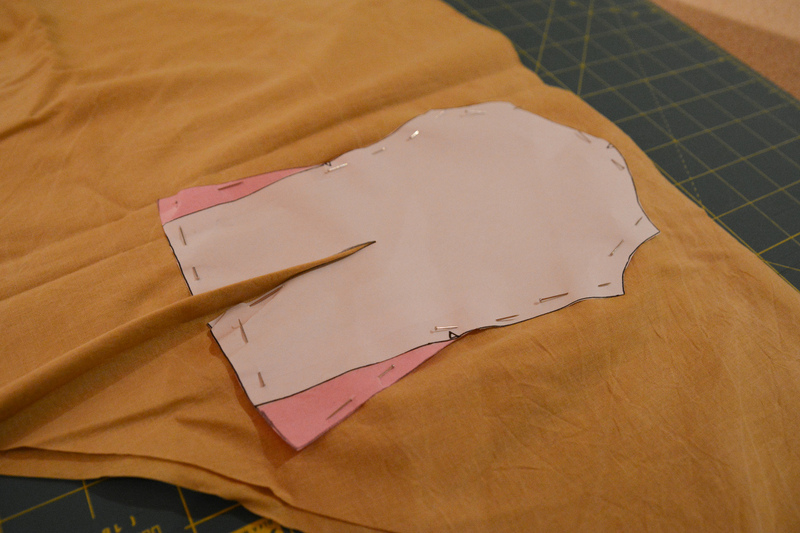 Start with the Nature Walk pants pattern piece drafted in the right size. I sized down slightly and added length because I knew I wanted a tight backside fit! Firstly, add a bit of width to each side at the hem line. Remember all this width will end up in the inner leg, so don’t go too crazy here. Now draw a line joining the widened hem point to the side leg just about where the notch is. 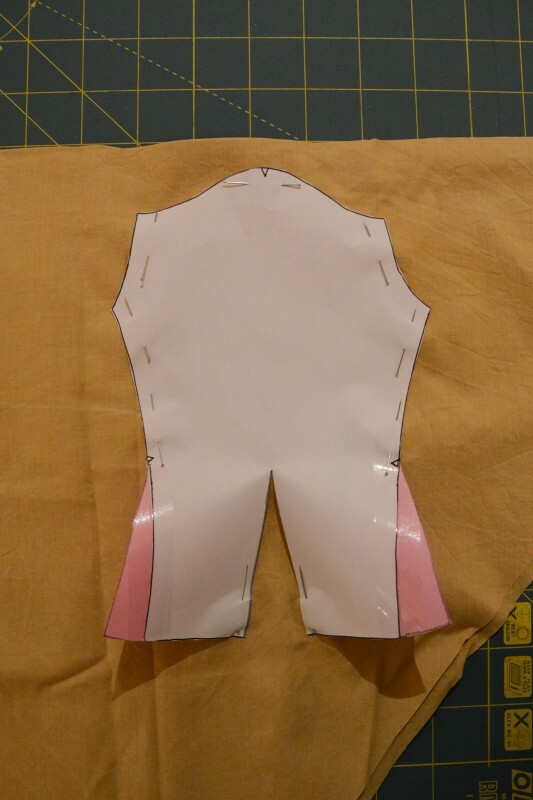 To try and get a bit of flare in the outer leg I cut and spread the pattern. Alternately, if you split the pattern vertically from top to bottom and sewed a side seam you could easily add more flare to the outer leg. Did I say I was being a bit lazy and slapdash with this? Well I was. 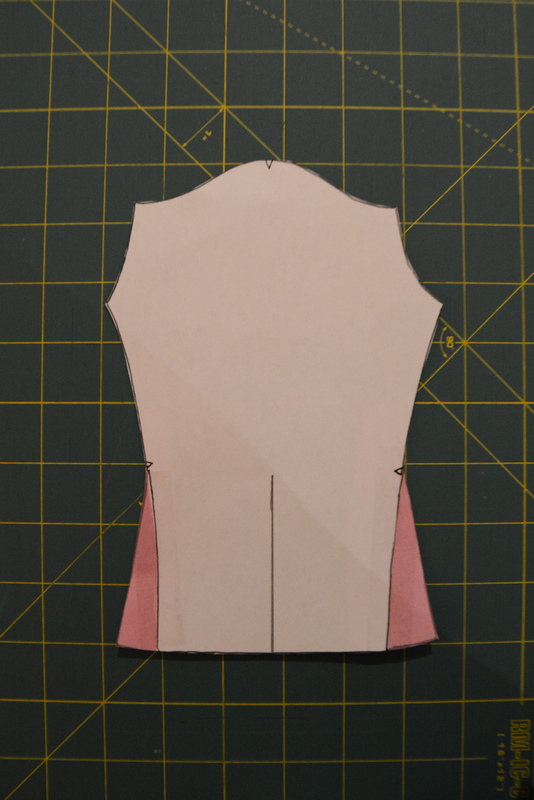 I didn’t redraw the pattern but slashed the pattern piece and then spread it directly onto the fabric. You can slash and spread just the once or multiple times. While this method gives the width all around it does create a weird, twisting effect which is really lovely for cowl neck tops but probably not what you want for flared trousers. Now to the fun part, painting! 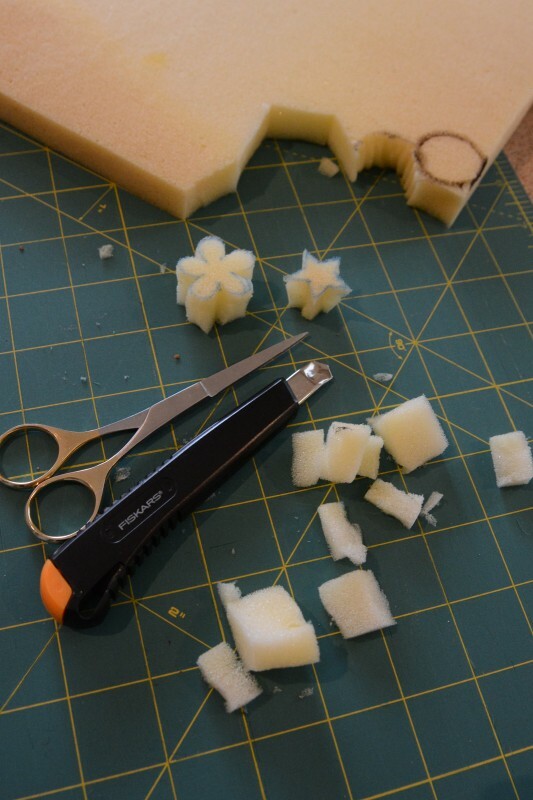 I used some craft foam but I imagine you could use a kitchen sponge, or an eraser, or a wine cork, or a potato… almost anything can be cut into a stamp. Dress ups get used a lot at our house and do need to go through the wash sometimes so I used a fabric paint. I applied the paint to the sponge stamp with a brush then stamped the fabric. 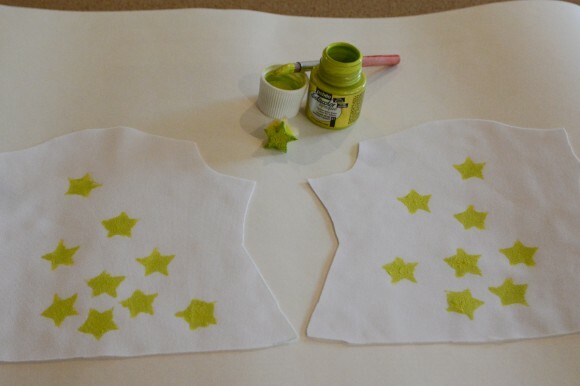 They’re not perfect stars, but stamping is much quicker and easier than a freezer paper stencil and the kids love stamping fabric. 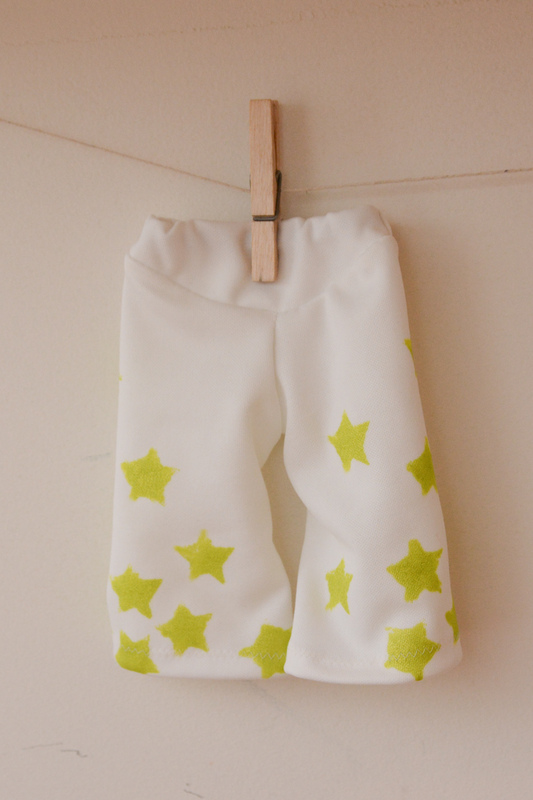 And there you have it: Nature Walk flares with stamped gold stars. … but now Tinkerbell does have flared disco pants! Thanks again for inviting me onto the Oliver + S blog Rachel, I’ve learned so much from Oliver + S patterns and all the wonderful people who sew with them. When I don’t know how to do something I always look here first. But when I don’t know how to do something and it’s last minute or only for dress ups or play clothes I experiment. For me, that’s when the fun really starts! 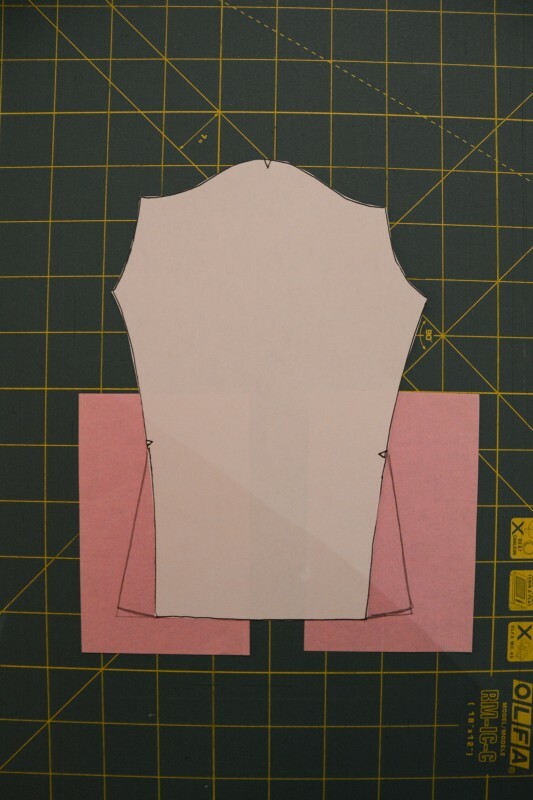 You can see more details here about how Shelley did this, and she’s generously sharing a version of the miniature-sized pattern pieces she drafted. Fantastic costume, proper or not, who cares? The results are discotastitc! Thanks ladies. 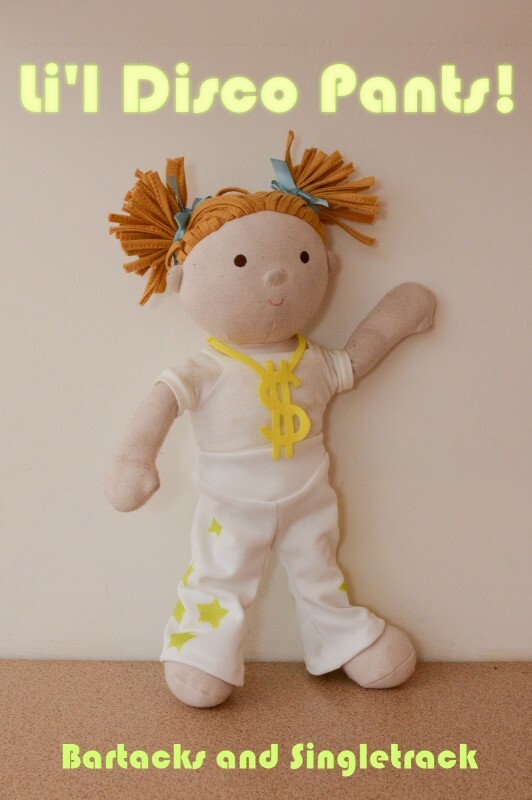 I always make sure I have fun, any successful sewing is a happy byproduct of that!